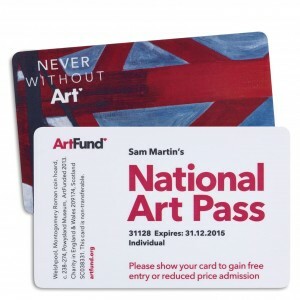 Last day to sign up for your free National Art Pass! I do hope you’re all having a good term, and have enjoyed the first few weeks back at Birkbeck after the Christmas break. * First of all, a reminder about the offer from the Art Fund of FREE national art passes for all students on our History of Art programmes. I’ve been told by our contact at the Art Fund that many of you have taken up the offer – but, if any of you haven’t as yet, and would like to do so, then please do sign up before the deadline – TODAY! (30th JANUARY). You will be contacted directly by either Ipsos Mori (for the NSS), or the College (for the other three) – and I, and the Department, would be really grateful if you could take the time to participate. For one thing, each survey does have a prize draw attached to it! But also, whilst I know that very few of us rate completing surveys and questionnaires as fun, it is also very useful for the Department, and the College, to hear your views, and to find out more about your experiences of studying with us at Birkbeck. We do take these surveys seriously, and scrutinise and discuss the results. The NSS is particularly important, as the College needs to have an overall response rate of more than 50% before the results are made publicly available on Unistats.com, a site designed for and consulted by prospective students. Thank you! * Finally – I’m happy to post a piece written by one of our current PhD students, Gary Haines, who works on the visual and cultural representation of the Blinded British Soldier of the First World War. I shall leave you with his thoughts on Access and Birkbeck, and some useful information about the services provided by the Disability Office. Independence, the word can mean many things – freedom, to do what you will when you want and, for those of us of a certain age, Will Smith fighting aliens in Independence Day. 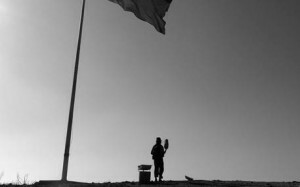 Independence can mean something else though. It can mean striving to be able to do what most of us do on a daily basis without thinking. To walk, to see, to read. How does someone who cannot see read, a sense we take for granted? Without reading, we cannot function as academics. This area is of particular interest to me due to my PhD research on the blinded British soldier of the First World War. How could you regain your independence when you cannot see? Striving for independence was featured as a theme in the recent exhibition held at the National Portrait Gallery. This exhibition, curated by Dr Heather Tilley of Birkbeck, examined portraiture of prominent blind and visually-impaired people in the nineteenth century, who strove for independence and who were active in the worlds of art, education, travel and politics. It featured the lives and images of James Holman, nicknamed ‘the blind traveller’, who travelled the world in spite of his blindness and limited mobility, and Henry Fawcett, economist and prominent campaigner for suffrage, who was blinded in a shooting accident. A wonderful blog by Heather can be found here. Birkbeck enables independence for students with visual impairments and other disabilities via the Access team. This assistance is centred at the Disability Office, located in room G12 on the ground floor of the Malet Street building. The staff here can provide advice and support on travel and parking, physical access, special equipment, personal support, examination arrangements, etc. UK and most EU students with disabilities on undergraduate and postgraduate courses are eligible to apply for the Disabled Students’ Allowance (DSA). The DSA can provide support and all the evidence shows that students who receive it are more likely to complete their courses successfully. The Disability Office can provide further information on the DSA and can assist you in applying to Student Finance England for this support. The Disability Office can also provide guidance on obtaining a personal assistant to support you on your course. This can include assistance from a note taker, a reader or a sign-language interpreter. IT services also offer a great deal of support to enable all students study independently. This includes an Assistive Technology Room, which may be booked by disabled students. There is screen reading and character enhancing software for students with visual impairments, specialist scanning software, large monitors, ergonomic mice and keyboards, specialist orthopaedic chairs, etc. There are also software packages for dyslexic students. If you think you may be dyslexic, it is highly recommended that you undertake dyslexia screening, as this can assist you in gaining more help if required. You can take an online screening test in the computer laboratories – the instructions for the screening test are available on the Disability Office website. All this assistance is not just for your first few weeks at Birkbeck but throughout your time here. Many disabled students can receive support in examinations, including additional time and use of a computer. They are often also eligible for extensions of up to two weeks on coursework. All of this is to enable everyone to be as independent as possible. It is to be remembered that access and independence is not an option – it is a right. My thanks goes to Mark Pimm, Birkbeck disability co-ordinator, for his help and assistance with the information for this article. For further information or to make an appointment to see the Disability Office, please call the Student Centre on 020 7631 6316 or email disability@bbk.ac.uk.
.) I hope you all had good Christmas breaks, and have returned to the Spring term feeling nicely refreshed. I’m pleased to say that I’m able to resume my blog posts with a piece of good news! You’ll remember that, a few months ago, I was contacted by the Art Fund with the offer of FREE national art passes for students on our History of Art programmes. I know that many of you took up this offer, and are already enjoying 50% off major exhibitions and free entry into 230 charging museums and galleries across the UK. The Art Fund have just been in touch with me again to say that there are free still passes available, and that they are reopening the offer, with a new deadline of 30th JANUARY. If you didn’t take up this opportunity first time round, please do so now. I’m delighted to be able to add that I asked the Fund if the offer might now be extended to our research students, on the MPhil/PhD programme, as well as students on our taught programmes, and they happily agreed. Members of staff in the department have been working hard. New publications are always appearing: one of the most recent was a piece in November by Joanne Anderson in the journal, Der Schlern: ‘St. Magdalena in Rentsch bei Bozen: Ein neuer Vorschlag zur Auftraggeberschaft im 14. Jahrhundert’. For those whose German is as rusty as mine, that translates as ‘Santa Maddalena in Rencio near Bolzano: A New Proposal of Patronage in the 14th-Century’. My colleagues are also regularly organising exhibitions, and a display co-curated by Gabriel Koureas and one of his PhD students, Elena Parpa, has just opened in the Peltz Gallery: Exercises in Orientation. This exciting curatorial project investigates the significance of landscape in the work of contemporary Cypriot artists, asking: How do contemporary Cypriot artists position themselves in a place marked by conflict? What kind of issues do they seek to address and how does their work contribute to our understanding of a divided landscape? The opening event was a couple of nights ago (a great success), and the exhibition will run until 11th February. Do stop in on your way in or out of the building, and take a look. We’re also routinely involved in organising events, and I’m going selfishly to take the opportunity to give one of mine a plug! It’s a one day conference entitled Animating the Eighteenth-Century Country House, which I’ve co-organised with Dr Susanna Avery-Quash at the National Gallery and our PhD student, Amelia Smith. It will be in the Sainsbury Wing Lecture Theatre at the Gallery on 5th March, and you can find full details here.